UK electronics retail giant Dixons is entering the nascent premium content online streaming and download sector, but the owner of the Currys and PC World brands is confident of securing significant share of a market that has seen the recent launch in the UK and Ireland of Netflix to compete with existing players such as Amazon-backed LOVEFiLM, supermarket groups such as Tesco and Sainsbury’s, pay-TV platforms such as Sky, Virgin Media, and BT Vision, and fellow High Street retailer HMV. Launching under the KnowHow Movies brand, the transactional on-demand movie and TV streaming service will be available subscription-free from Thursday 1st March 2012, and will allow viewers to watch and buy from an growing library of films and TV shows directly from their TVs, Smartphones, laptops and tablets. Teaming up at launch with major film studios including Pixar, Disney, Warner Bros, and Momentum Pictures, other studio deals are anticipated in the coming weeks. New releases will be added to the library on the day of release, meaning customers will have access to them as soon as they become available. New releases are priced at £3.99 to rent and £12.99 to buy and catalogue titles are priced from £2.99 to rent and from £5.99 to buy. TV shows start at £1.99. Niall O’Keeffe, KnowHow Development Director, suggested that with only five per cent of the movie market currently being digital, there is considerable opportunity for the operation to garner a share of a market forecast to be worth £450 million by 2014, with Currys and PC World having a captive audience to market the new service to, as they sell over 4.5 million connected devices each year and have contact with 19 million customers through in-store, online and servicing operations. “It’s a market that’s going to explode very, very quickly as customers start to adopt things quicker and quicker in this digital environment,” he predicted, suggesting that Currys and PC World had a “massive reach to a potential audience”. Each new connected device sold by Currys and PC World will come with KnowHow Movies pre-loaded and demonstrated at purchase by store staff. Customers will be able to access their KnowHow Movies on up to five devices, allowing them to start watching a film on their tablet on the way home from work and continue watching in front of the TV once they arrive home. 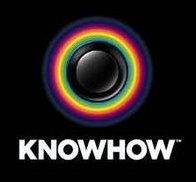 Customers will also have access to the KnowHow knowledge site and UK-based Customer Contact Centre, in case they have any questions when using the service. Initially available for PCs and Macs, KnowHow Movies will be rolled out to tablets, mobile phones (both Android/iOS operating systems), Smart TVs and consoles within the next six months. KnowHow Movies has partnered with Rovi who will manage the digital supply chain and technical platform that delivers the content to customers. KnowHow Movies will also allow customers access to Intel Insider for Full-HD playback and Dolby Digital Plus 5.1 sound for TVs. Gary Hearns, Senior Category Manager – Content at Dixons Retail confirmed that KnowHow Movies would become an Ultraviolet retailer during 2012, working closely with the Digital Entertainment Content Ecosystem (DECE) and other UltraViolet stakeholders to drive the desire among consumers to build digital entertainment collections of their favourite movies and TV shows. Sebastian James, Chief Executive of Dixons Retail, told Advanced-Television.com that despite the crowded market, he was confident that KnowHow Movies would establish a meaningful presence.